Exhibition celebrating ten years of collaboration between art schools and papermakers craftsmen from the Aoya City (Japan). The contemporary jewelry needs to fashion subtle elements, as in the case of papers and fibers, enhancing the aesthetic language and crossing the jewel-ornament barrier. 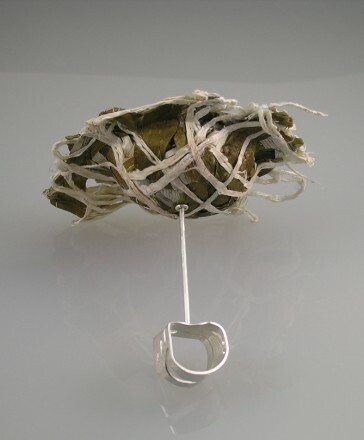 These works, silver with paper fibre achieve an aesthetic harmony with the desire to surpass the jewel-function barrier.